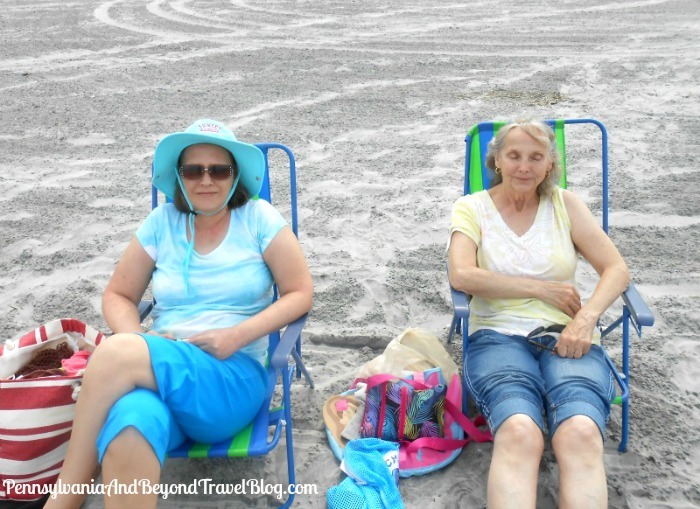 As a family, we head to the beach as often as we can. When we go, we always plan ahead and even with thorough planning, things can and do...go wrong. 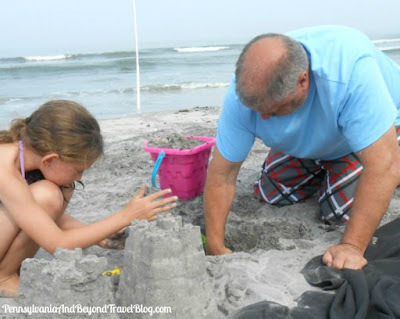 You want your day at the beach to be enjoyable and memorable. 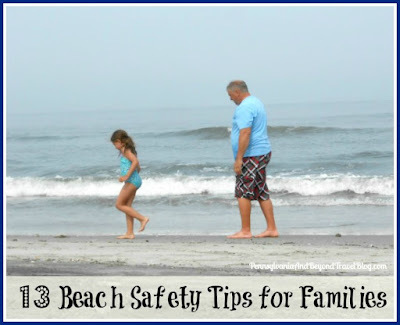 When you utilize these 13 Beach Safety Tips for Families, you can help to ensure that things go as planned and if an emergency does arrive, you're family will be ready to handle it. 1. Weather Forecast - Any time you plan on spending time outdoors, it's important to get an updated weather forecast before you leave. If you plan on being out for several hours at a time, make sure you have access to the forecast as the day goes along. Use your cellphone or a weather radio for updates. If a storm moves in, get off the beach and take cover. 2. Beach Conditions - If lifeguards are on duty, ask them about the current beach conditions. 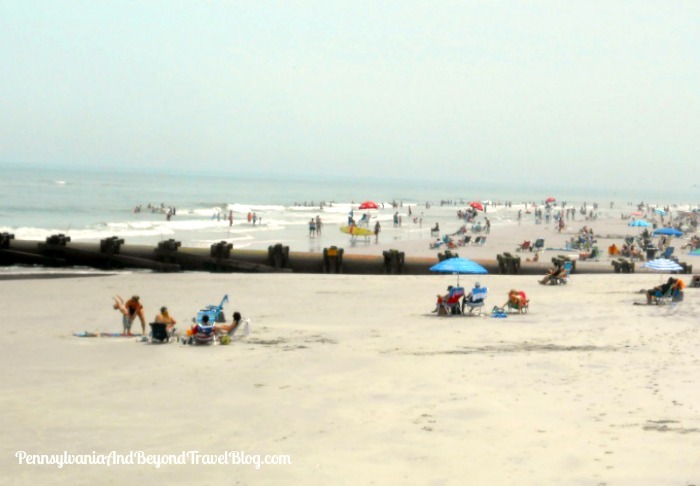 Are there rip currents? Have they had any beach sand cave-ins? Wildlife hazards? etc. If no lifeguard is on duty, pay attention to warning flags and signage that may be nearby. 3. Be Aware - It's important to be aware of your surroundings and NEVER fall asleep while laying on the beach! Know who is near you and keep an eye on them. A lot of people can be robbed or harmed when caught off-guard while taking a nap or not paying attention to who's around them. 4. Valuables - Lock up your valuables and leave them behind. Don't take a big wad of cash, credit cards, checkbooks, keys and expensive jewelry over to the beach. Lock them up in a safe in your hotel room or invest in a portable safe that is locked up in your car. 5. Jetties, Rocks and Piers - Never swim near jetties, rocks and piers. In addition, do not walk or climb on them! You can fall and get hurt, plus rip currents have been known to form near and around them. It's recommended that you stay at least 100 feet from them. 6. Alcohol and Drugs - Please avoid taking illegal drugs or drinking alcoholic beverages while on the beach. They can impair your decision-making and sap your physical strength if needed. In addition, the sun and heat can dehydrate you much quicker when there is alcohol and drugs in your system. 7. The Buddy System - Whenever possible, don't go to the beach and/or swimming alone! If you insist on going alone, tell someone where you'll be and when you'll be back. Have them check-on you at the designated time and instruct them what to do and who to call if you don't return. 8. Cellphone - Take your cellphone along with you in case of an emergency and keep it charged up! Place it into a zipper-close plastic bag to protect it from sand and water. Don't let it lay out in direct sun or in extreme heat. 9. Water - Being out in the sun can quickly dehydrate your body. Take along plenty of water and remember to drink at regular intervals. We like to freeze our water bottles ahead of time and use them as ice packs in our cooler. They thaw out while we're enjoying our time on the beach and every member of the family enjoys a cold beverage to drink. 10. Sunscreen - Take along a waterproof sunscreen and re-apply it according to the directions on the package. Always make sure you have enough sunscreen for the entire day. 11. Family Talk - Talk to every member in your family before getting onto the beach and explain to them all of the rules for the day. Go over them several times if needed. 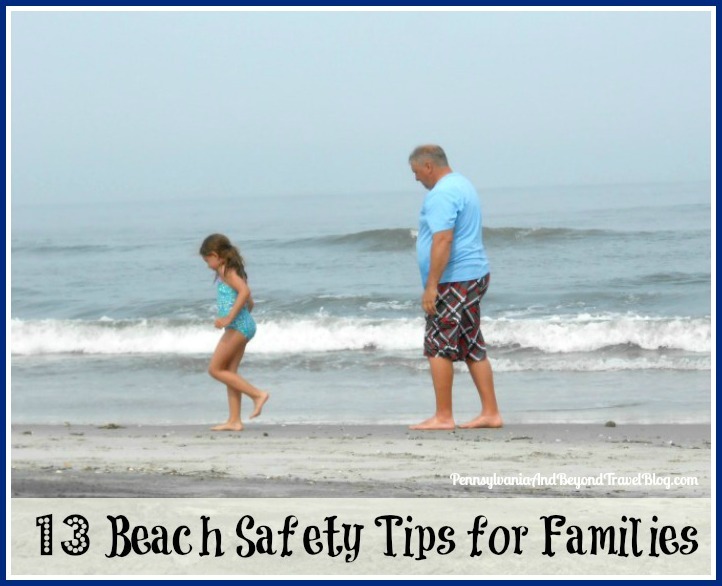 You need to teach children the "safety rules" while being on the beach and in the water. Make sure they understand what your saying and allow them plenty of time to ask you questions. 12. Within View - Keep your kids within your view at all times and explain to them that they have to keep you in their view too! Don't walk off to use the restroom while leaving your kids behind. Don't take naps and don't get distracted by reading a book or yapping away on your cellphone. Pay attention and always keep your kids in your sight. 13. Emergency Information - Take an index card and right out all of your emergency contact information on it. If you're a visitor to the area, write down where you're staying. It's a good idea to write down the number of people who are with you during your visit along with their names and ages. Keep this emergency card in your beach bag. If you should have an emergency and can't speak, someone else can give the emergency card to a rescuer. Kids can panic and not give the correct information during stressful times. These 13 Beach Safety Tips will help you and your family stay safe while visiting the beach. Plan ahead and you'll be ready to handle any emergencies that may occur.